The end nears. 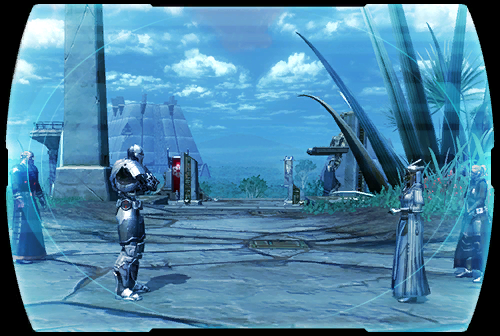 On YAVIN 4, Revan intends to revive the dreaded SITH EMPEROR--so he can be truly destroyed. But the resurrection will only allow the Emperor to achieve his twisted desire: to consume all life in the galaxy. ? With GRAND MASTER SATELE SHAN and DARTH MARR forming a temporary truce on the densely wooded moon, the responsibility falls on <name> to rally the coalition forces against the Revanites. ? Before the hunt for Revan and his Revanites can begin, however, the coalition's position within Yavin 4's hostile swamps and jungles must be secured.... ?